Welcome to New Hope Baptist Church! In this world where problems are plenteous and chaos is everywhere, the evidence of God's presence at New Hope is what brings hope and encouragement to our members and friends. New Hope Baptist Church is a church where the power of the living God is experienced. Through the spoken word the people of God are fed. Through our music, praises and adoration are sent to our Heavenly King. Through our prayers burdens are lifted and hearts are mended as the power of God is seen working in the lives of His people. 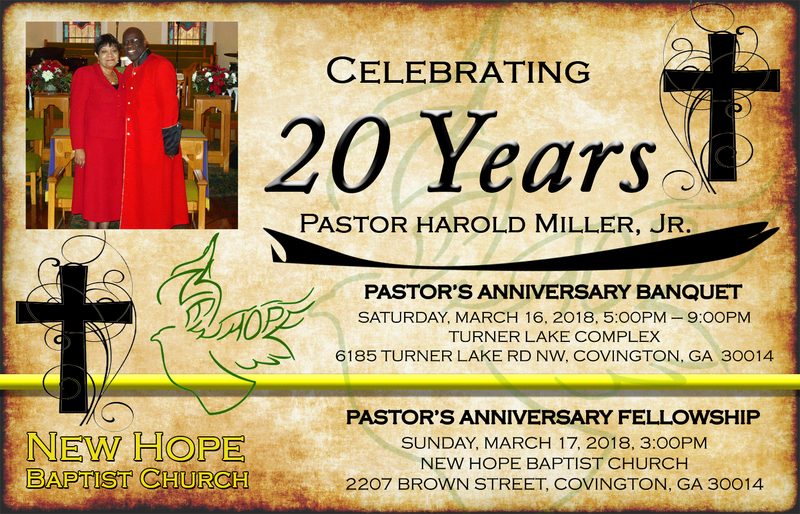 If you are in the area, we invite you to worship with us. We know that you will be truly blessed. Providing New Hope for Covington, Harristown, Newton County, and the World!